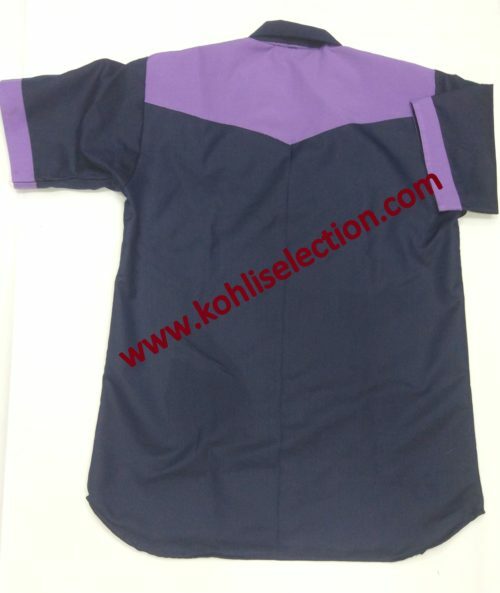 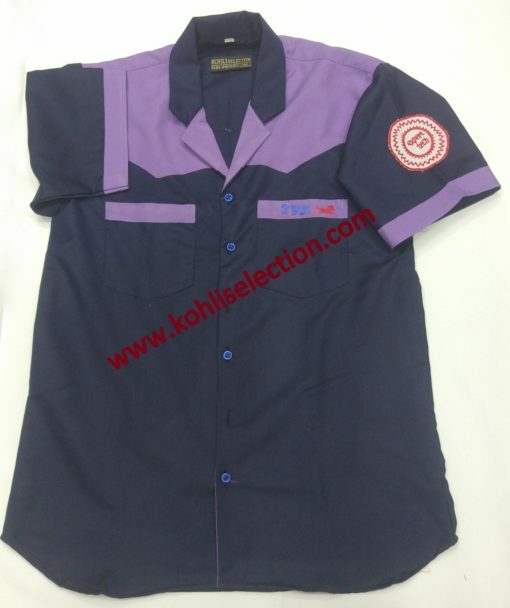 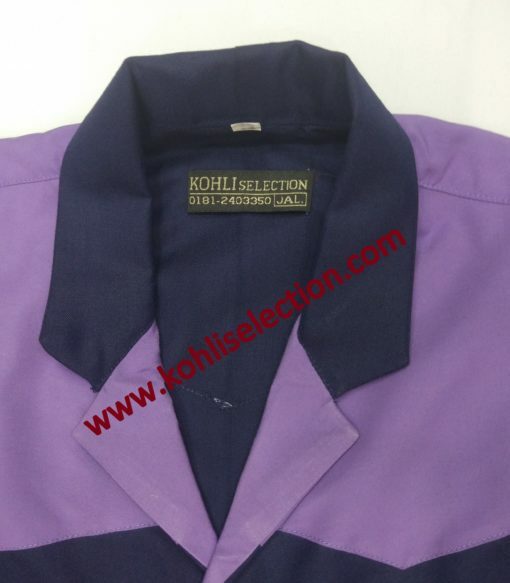 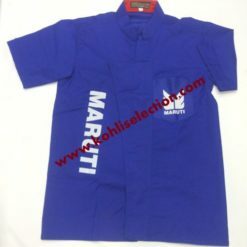 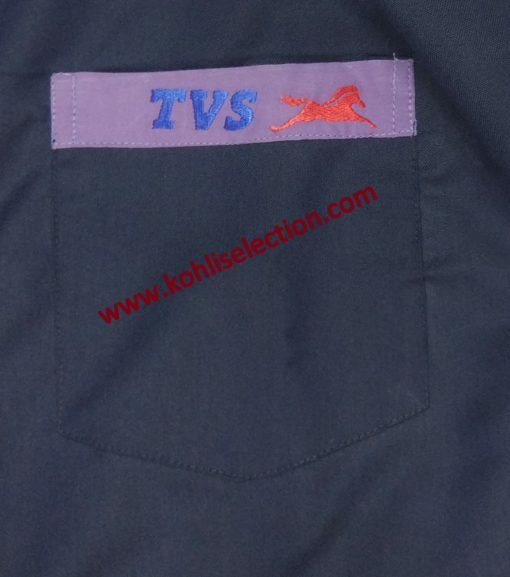 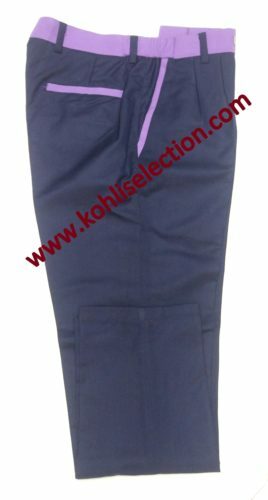 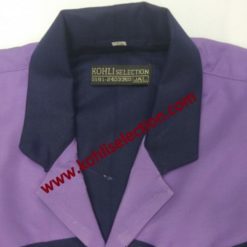 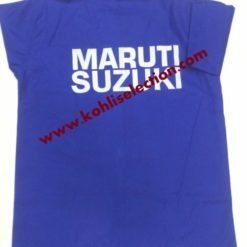 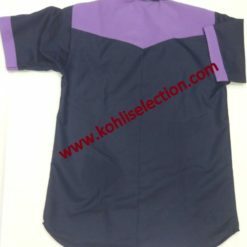 Navi Blue & Purple Combination TVS Technician Uniform With Logo Printed on Front Left Side. 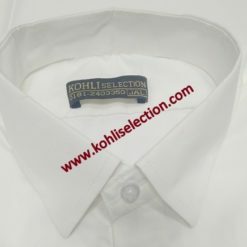 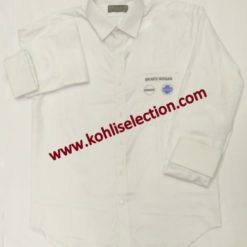 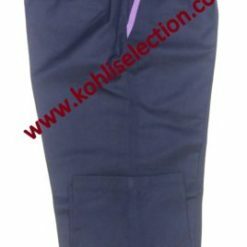 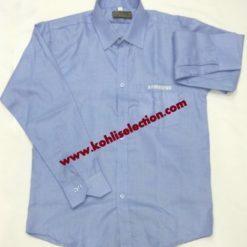 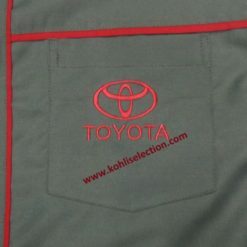 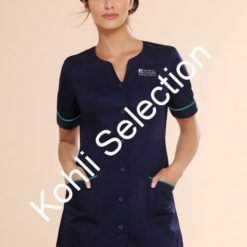 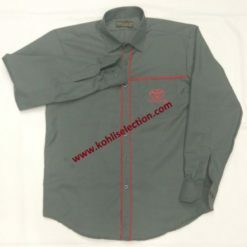 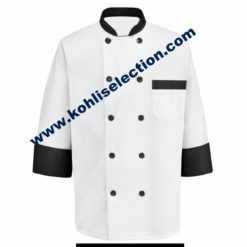 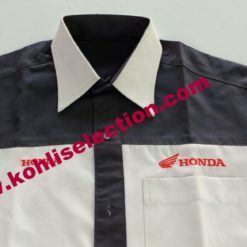 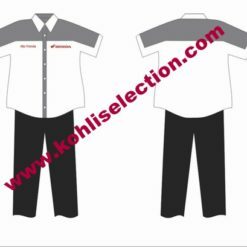 In order to keep pace with never ending demands of the customers, our company is instrumental in offering TVS Delaership Employee Uniform. 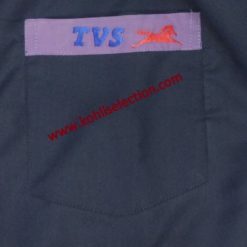 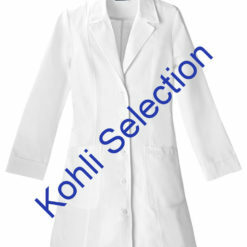 Uniform is Strictly Based on Guidelines of TVS India.